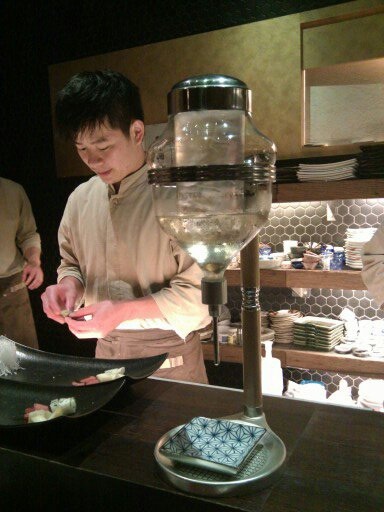 I wanted to introduce you guys to another a fancy pants sushi restaurant in Taipei. 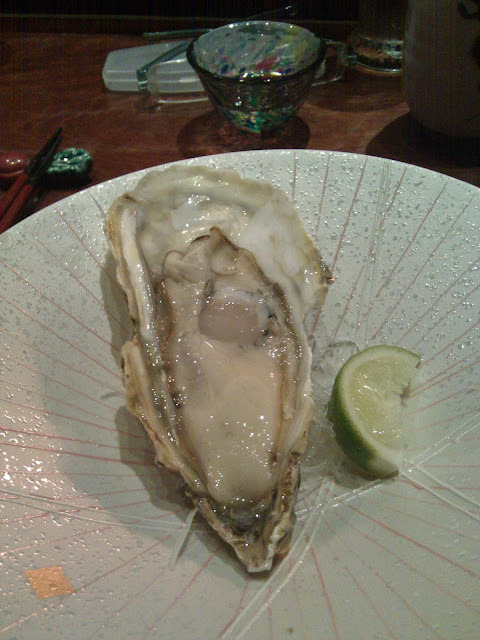 =P This is also my last Taipei review. Wooo! Unfortunately I was a dolt and completely forgot to bring my good DSLR camera and my superhero dad stepped in with his android phone. As a result the photos have that sort of awkward cellular phone quality about them...and not the "beautiful hipstamatic prints from the iPhone" type quality. However, let me preface this particular blog post with this singlehandedly had to be the most decadent meal that I had in Taipei. How? Why? Where? With whom? Let me explain. 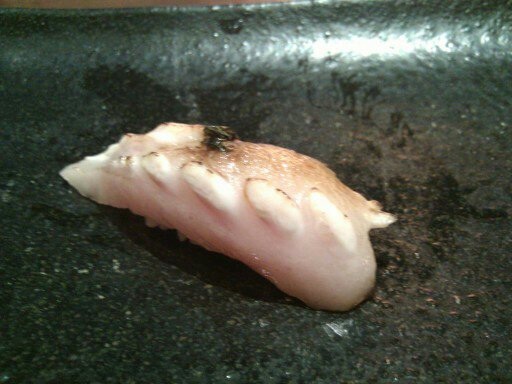 The most viewed post on my blog is the restaurant review on Kitcho, my favorite sushi restaurant in Taipei. HOWEVER, my aunt and my father have a penchant for taking me out on gastronomical adventures, and I'm not one to complain about them. ;) My aunt bet that she could replace Kitcho as the reigning sushi place in Taipei from my father's list and thus took us to Dàzhèng làngmàn/大政浪漫. 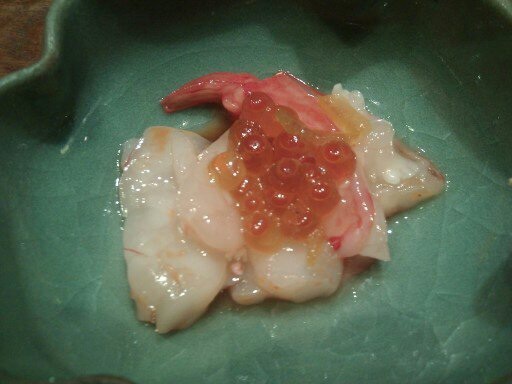 A sushi restaurant located by the Zhong Xiao Fu Xing metro stop (忠孝復興), nestled into one of the back alleyways of the Zhong Shan District, that prides itself on remembering customers, offering high levels of service, and fresh delicious food. The design of the restaurant was a stark contrast to the narrow alley it was located in. It was an angular, cement, glass, and raffia creation that brought an immense amount light and elegance that seemed a bit out of place in the narrow walkway of the alley. 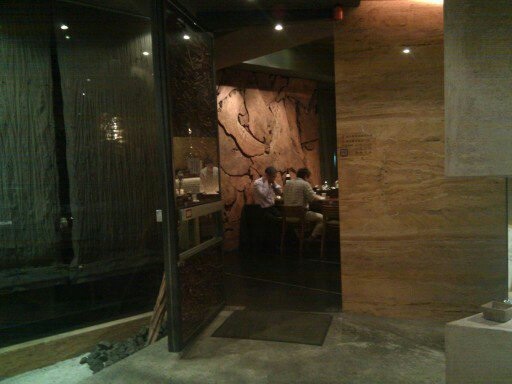 The interior design of the restaurant was equal, if not more, elegant and lovely. The whole restaurant was dim with focused mood lighting on tables, in the sitting area and behind the sushi bar, while diners in the larger sitting area are given privacy with divisions of frosted glass. There were private rooms available, but I believe you have to call ahead to reserve one. 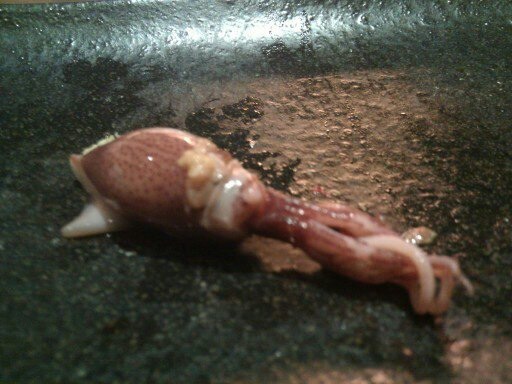 The sushi bar, where we were located that night, was made our of a dark reddish brown hardwood that was lacquered over with gloss. The whole restaurant incorporates a color palate of dusty green, dark brown, opaque beiges, and rusty reds. While the decor and the artwork is minimalist, the largest art piece that they had was a large stone wall mount behind the sushi bar. My auntie was a regular at this restaurant and the second we entered, the hostess, sushi chef, and busboy looked up and called her name. 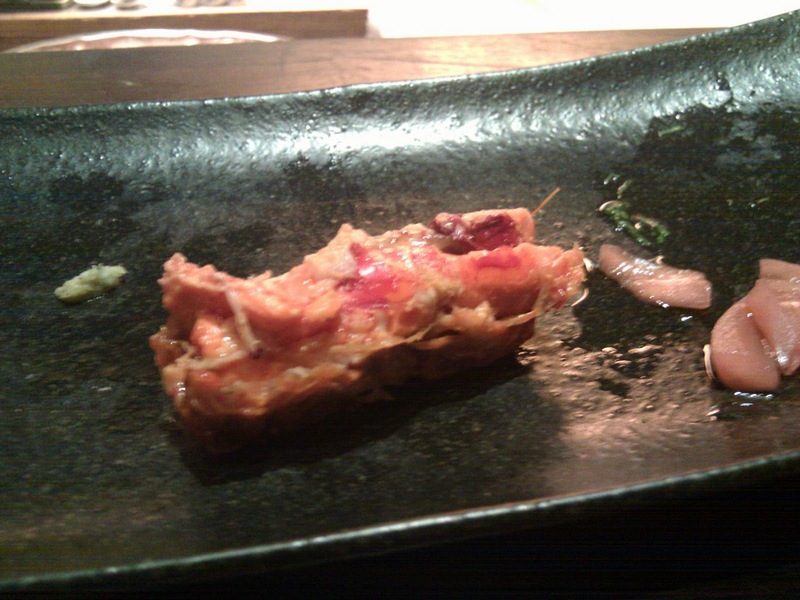 We were ushered to the bar seating and were immediately offered hand towels, tea, and a small amuse bouche. 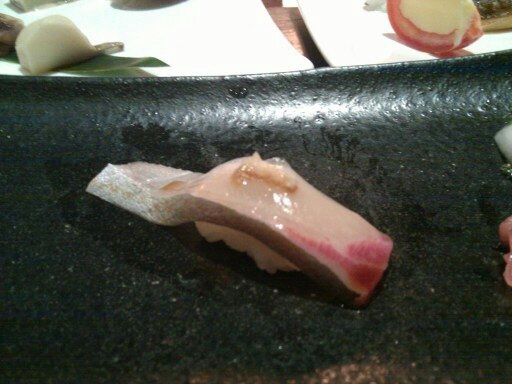 The meal that followed was everything sushi should be, equal parts traditional and creative, fresh, light, and surprising. They offer three tasting menus you can choose from with differing price points the first rests at 2200 and unfortunately I can't remember the other two but, I've heard that the menu can go up to 22000NT with additional orders and alcohol. I'll let the photos speak for themselves and add commentary when I feel it's necessary. Thank you for coming and enjoy! 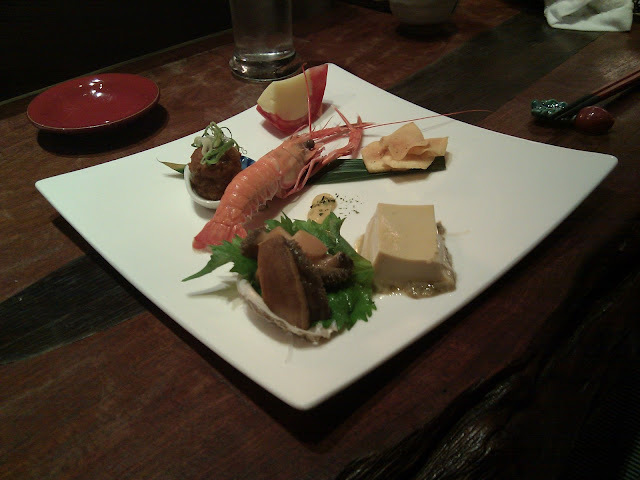 This first plate is composed completely of small appetizers. 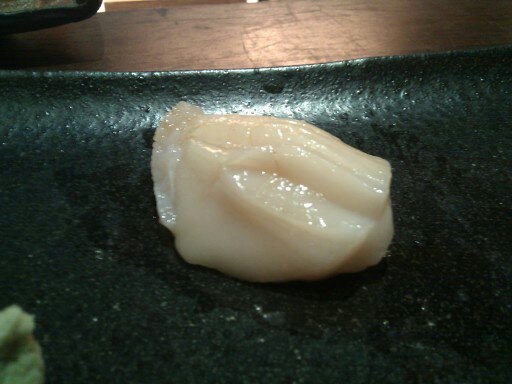 Everything on the plate is beautifully done, braised, boiled, steamed, fried or chilled to perfection. The only thing that I really didn't like about this plate was the "tomato custard." 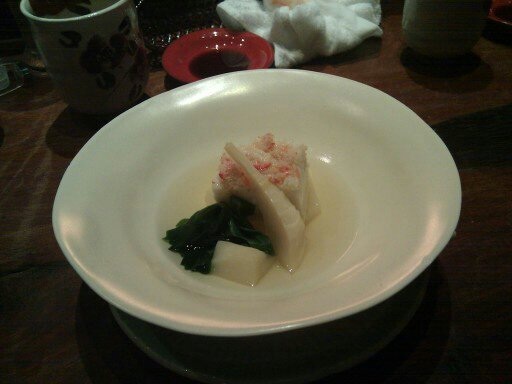 It was a raw tomato with chilled custard inside and...it tasted exactly how its name was. Tomato-y custard. I really just wasn't a fan. 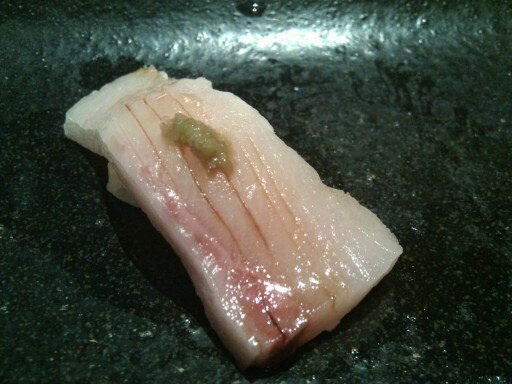 Hirame is my favourite white fish. 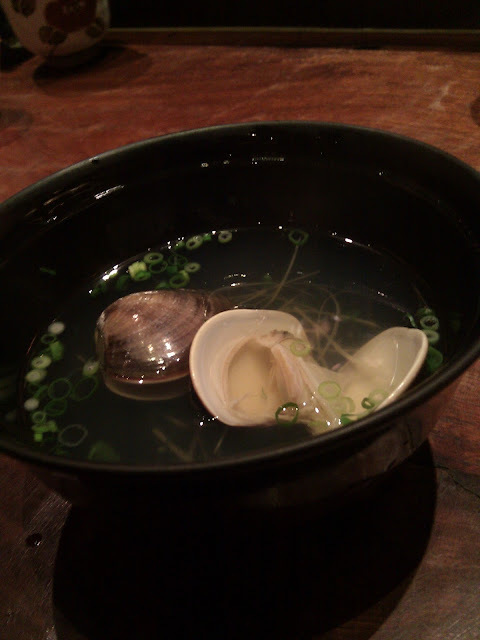 It's very light, fresh, and reminds me of spring times with my family when I was a little girl. Weird right? 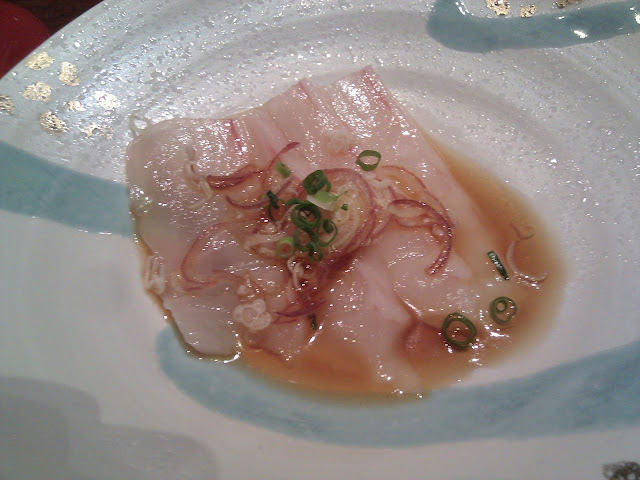 Anyway, it's hard to find myoga ginger in Vancouver, so when the sushi chefs paired the light hirame with the tart ponzu and the soft flavorful ginger. Mmm! 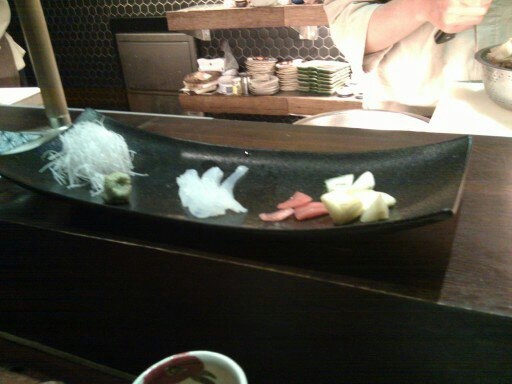 This is their "special Chirashi" that my aunt always orders at the end of her meal. It is very, very good. 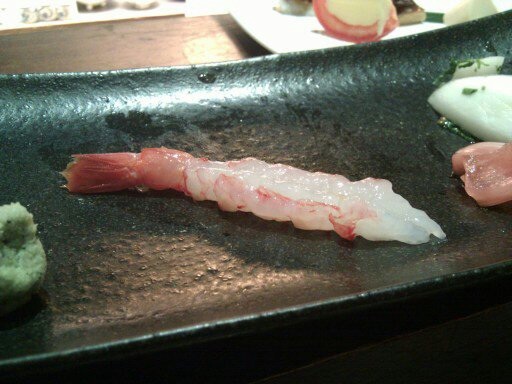 Even though I was full near the end I made sure she ordered me one too. 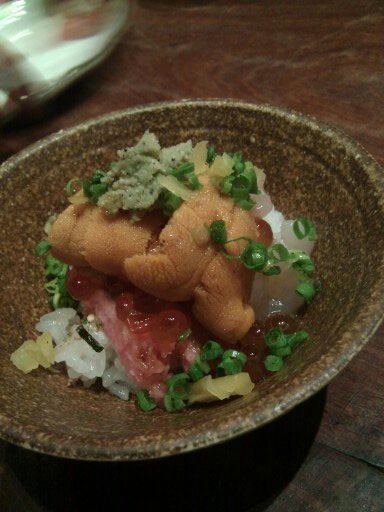 All of their ingredients are so fresh and tasty, but this particular combination of uni, negitoro, ikura, hijiki and salmon rice is absolute luxury. The uni and the negitoro are very creamy and fatty, which is a nice contrast against the tart sushi rice, the sharp fresh bite of the green onion, the saltiness of the salmon roe, and the sweetness of the hijiki, I would definitely go back and order this...with or without my aunt...no matter how full I was. 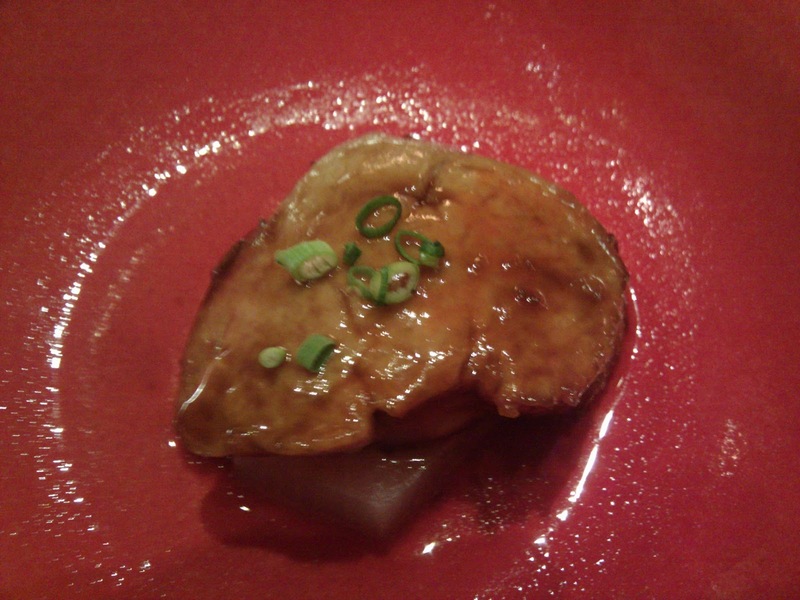 I love the the combination of foie gras and daikon, however I've never had "ankimo" done in a fois gras style before. 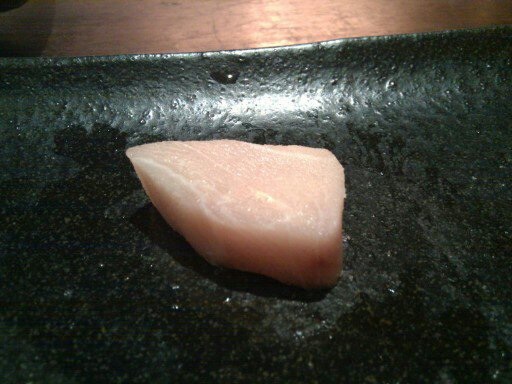 Ankimo is also known as the foie gras of the sea, so it's inevitable that someone would decide to grab a slab of ankimo and pan sear it. 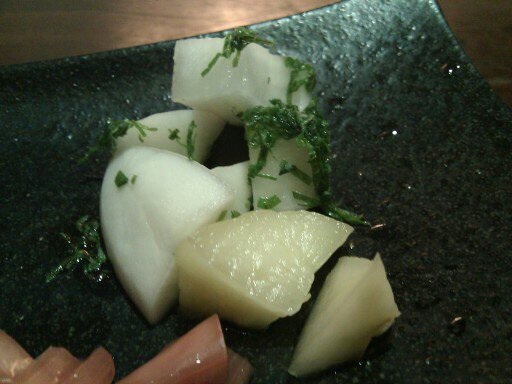 The rich decadence of the ankimo contrasts well against the plain flavor of the daikon. They make a delicious pair....I encourage you to try it if you ever get the chance! 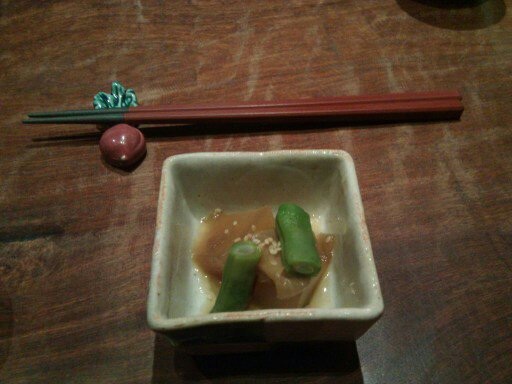 They gave me so many servings of this peanut tofu. I was absolutely stuffed by the end. It has a very light peanut flavor and the texture is definitely that of a silken tofu, but the monotony of the texture is broken up by the ground bits of peanut. A light dessert to end a decadent meal. 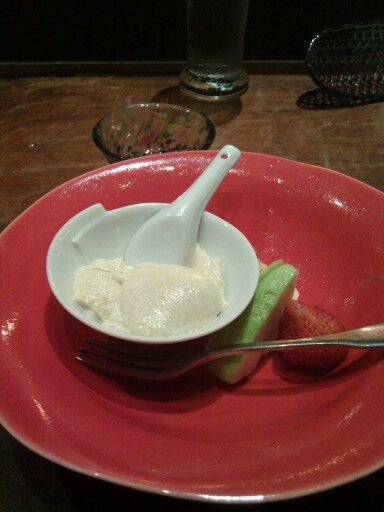 I really enjoyed this particular dessert the first time I had it, but the second time I went to the restaurant they served the same dessert...and it no longer tickled my fancy. Maybe it's just one of those desserts that's a one hit wonder? Anyway, thank you for reading, looking, and visiting! Kid Friendly: Although the staff would be more than accommodating for parties with children, given the fare of the food and the crowd that partakes in the restaurant I would venture to say no. 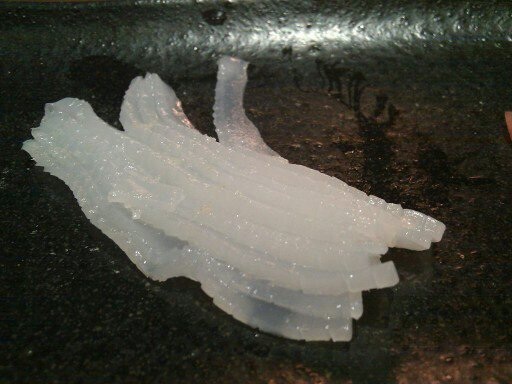 I might be wrong, but the mizu-dako could be hotaru ika instead. The last I checked, mizudako can grow up til 3m.